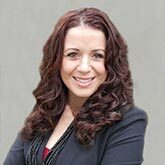 Krista Carucci has over 15 years of experience in the luxury spa industry. Krista offers technical experience, operational management experience and global corporate operations experience. She has worked for Hyatt Hotels Corporation for almost 10 years and has opened over 21 internationally recognized spas and has extensive experience in global hotel and spa operations. She continually managed over 30 million dollars in annual Spa revenue under the Hyatt brand while successfully creating innovative improvements in sustainability and profit margins in a challenging business climate. Her many contributions to company profitability, include the development of an extensive retail program to curb costly budget overruns and secure guest loyalty through personalized retail programs. Krista studied at the Interior Designers Institute in Newport Beach, CA and offers a unique approach to integrating spatial design with spa operation. She graduated with her aesthetics license from the Aesthetics Northwest Institute in Bellevue, WA. She has two twin boys and currently resides in northeast Ohio with her husband.